One of the most inspiring things about Pink is that she stands her ground and her voice rocks! This is self-explanatory…It’s nice to see two kids getting along! 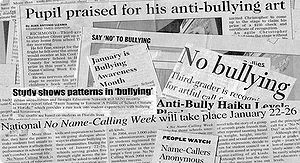 IF only it could be this way in schools…Let’s make it the year to fight the bullying! Who is with me?